How can I increase my productivity and stop procrastination? 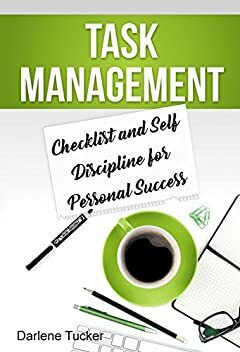 In the book Darlene Tucker "Task Management: Checklist and Self Discipline for Personal Success" will show you 10 strategies for compiling a list of cases. This will significantly simplify your life and help to avoid unnecessary stress. You will stop breaking promises and will be able to understand what is happening to your life. what mistakes do we make when drafting them? Are you ready to get down to business on the to-do list and improve your productivity and efficiency in the direction of excellent personal satisfaction and quality of life? Assuming that this is so. Then buy it so we can continue!